Pinch to zoom? Nah. Try unfold to zoom. 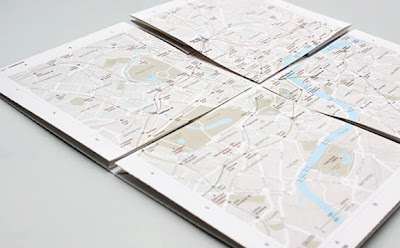 The Map2, a "zoomable map on paper," is a clever invention that packs more detailed maps underneath its folds. 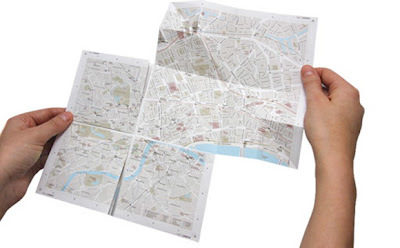 With GPS and map software ubiquitous on every smartphone, it's a sad reality that paper maps have fallen by the wayside. With location-based searching, powerful zoom capaibilities, and a GPS chip tracking your every move, it's hard to deny the advantages of digital maps. But there's still something satisfying about squinting your eyes, pointing your index finger, and finding your route on a good old paper map. Enter Map2, a high tech, low tech map that lets you zoom in to a more detailed view without going digital. 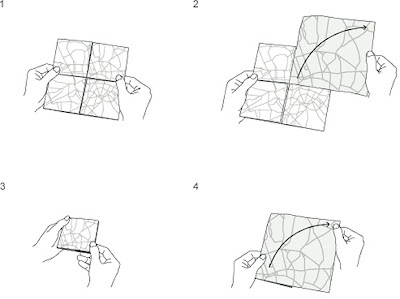 From the original fold, each of the four quadrants can be unfolded to reveal a more detailed map of that area; the Map2 is essentially five maps in one. If you're looking for a compromise between the comforting exactitude of digital maps and the old-fashioned thrill of not knowing exactly where you're going, the Map2 might be just the ticket. The $13 map is currently only available for the City of London, but I wouldn't be surprised to see this solution roll out for other countries in the near future.